Bohemian rabbi and author; died about 1750 at Jung-Bunzlau, where he was district rabbi and director of a Talmudic academy. His father, who was styled "Ḥarif" by his contemporaries, was rabbi at Mayence, Germany. Bezaleel wrote a collection of festival sermons and homiletic explanations on the Pentateuch, a work published at Prague in 1786 by his son, Baruch Judah Brandeis, and entitled "Ẓedah-Baruk." 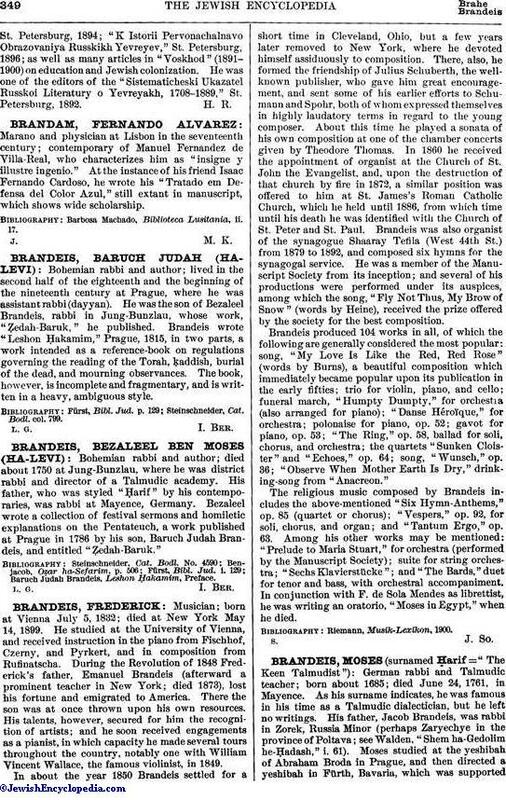 Baruch Judah Brandeis, Leshon Ḥakamim, Preface.